Spring is Here, Repair Your Asphalt Before The Summer! To This in less than 15 minutes! Don't wait until Next Winter, Now is the time to get moving!! 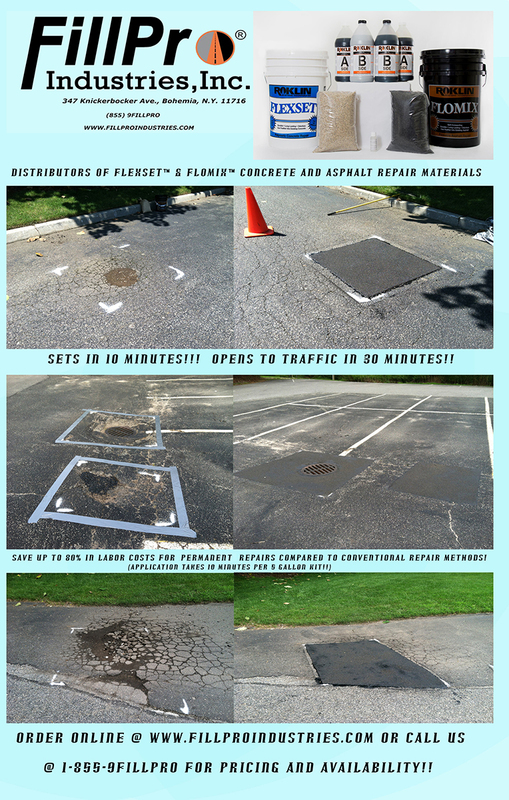 Summer and Fall are the best time for asphalt repair, seal coating and parking lot striping. The first day of Fall is September 22, 2014, just over a month away. For seal coating asphalt, a temperature around 70- 80 degrees produces the best results so Summer and early Fall are best for that. Also rain is much less likely in the summer. FloMix for asphalt repair can go down at a wide range of temperatures but water cannot be present. If you top your FloMix repair with a seal coat, it is best to wait for warm weather. Additionally, workers have more daylight to work with in the Summer, allowing for paving contractors to perform paving and seal coating on your project early or late, when it won’t interfere with business, churches, schools etc. Don’t wait until Winter comes and it is too late to repair your asphalt. Fillpro Industries Now Offers The Glaze N Seal Full Product Line!! 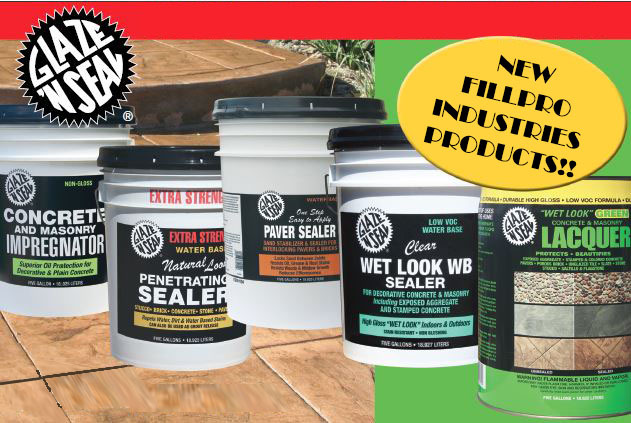 Fillpro Industries, Inc. now offers the full line of Sealer and Cleaning products from Glaze N Seal! Protect and Beautify your Concrete and Paver Materials!! Paved road surfaces have five stages in their life cycle. Each stage impacts the smoothness of the road surface. The beginning stage is the initial design of the roadway, including the project’s dimensions, material type, thickness of base and driving surfaces, and the drainage system for the road. All of these affect the quality and durability of the pavement surface. The next, or second stage is the construction or reconstruction of the road. The quality of the construction process impacts the longevity of the pavement surface. The third stage is the first few years of use when the surface starts to experience some initial deterioration as a result of traffic weather such as rain, snow, solar radiation and temperature changes. This is when a road surface appears to still be in good condition and generally provides a smooth ride to motorists. 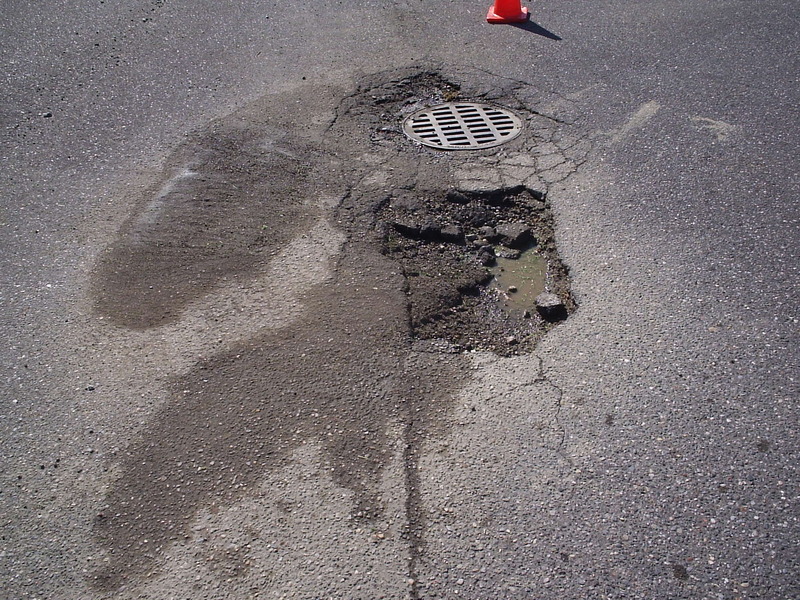 The fourth stage begins with increased deterioration and obvious signs of disrepair such as potholes, cracking and other damage. 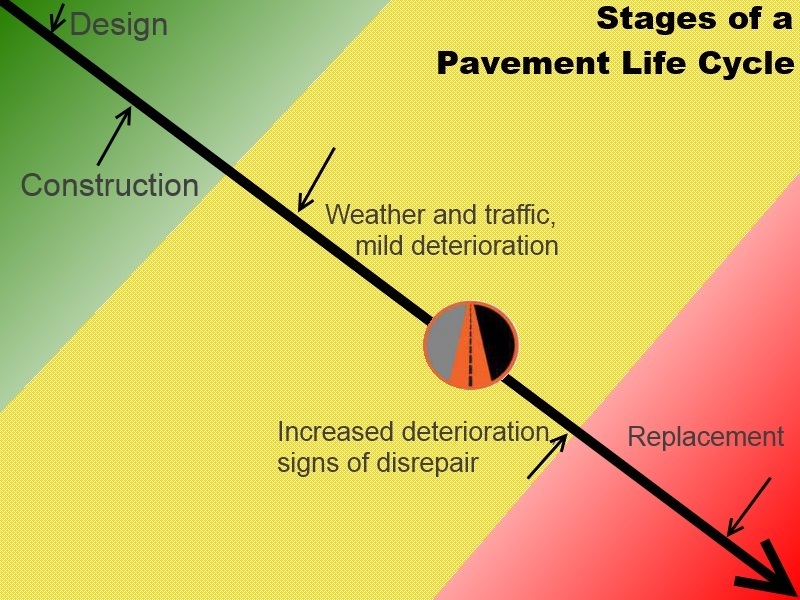 If roads are not repaired at stage four, they will then fall into stage five. The final stage is disintegration and structural failure. This is the point when roads will need costly reconstruction to replace the affected sections of highway or roadway. 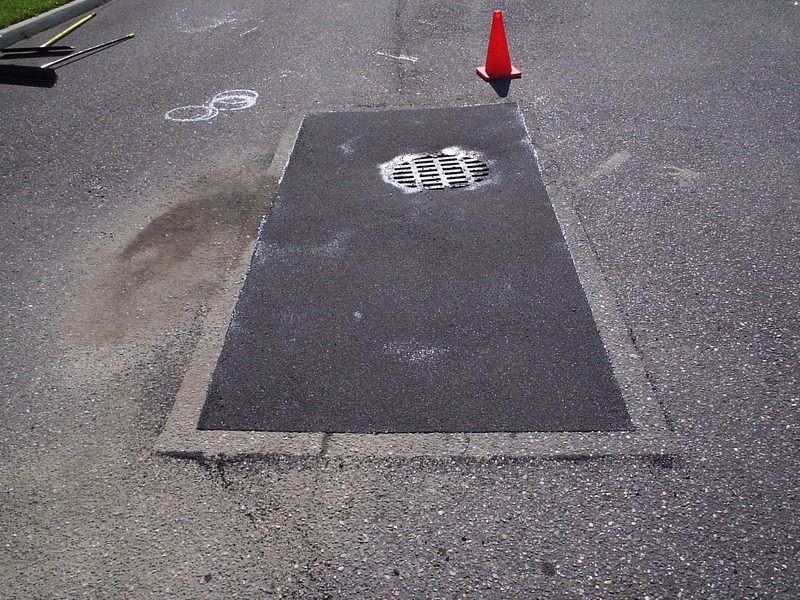 Roklin’s products are designed specifically for repairs at the fourth stage of a pavement life cycle. When damage is caught early enough and repaired with FloMix, FlexSet or Concrete Welder, the deterioration is halted. Catching cracks and potholes before the fifth stage of a pavement life cycle is essential to extending the life of your concrete or asphalt. We find that the best looking way to apply Flomix™ & Flexset™ is to apply duct tape around the areas you are going to repair in a square or rectangular pattern. Install the material inside the taped off area and allow it to set for a few minutes before removing the duct tape. The finished product looks as good if not better that an asphalt or concrete repair that was performed with conventional methods. (i.e. Cut out, remove, patch, roll, seal seams, remove rubbish....) The Flyer below shows the before and after of the repairs.